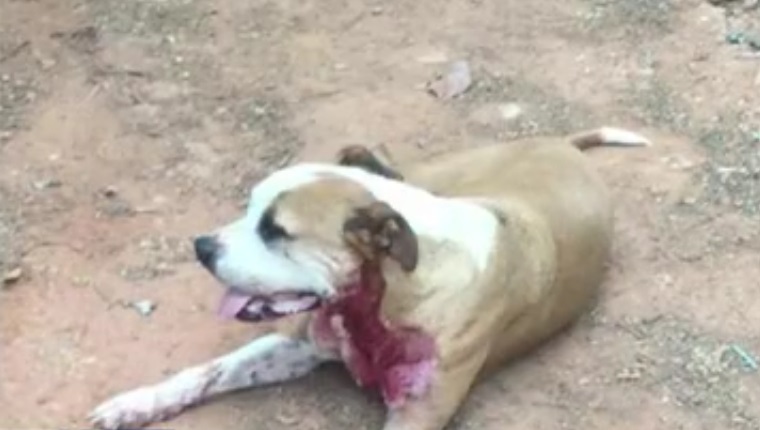 A stray Pit Bull jumped in front of an attacker and was stabbed 5 times. Officers named the dog Hero and took him to a veterinary surgeon. Now Hero’s up for adoption.